Streatham station is on the list. These are some pictures of Streatham station. This station ineeds a massive makeover. The stairs are difficult with three sections. The booking office is in a structure balanced over the tracks. The platforms are very dark and as welcoming as a prison cell. There are various rooms that could be repurposed to improve the customer experience. There is in fact very little of architectural merit, that would be missed if a rogue Class 66 locomotive and twenty large wagons full of stone demolished the station in the middle of the night. This Google Map shows how the station is surrounded by new developments. Note the bus station. Surely, when this development was built, the opportunity could have been taken to sort out the station. 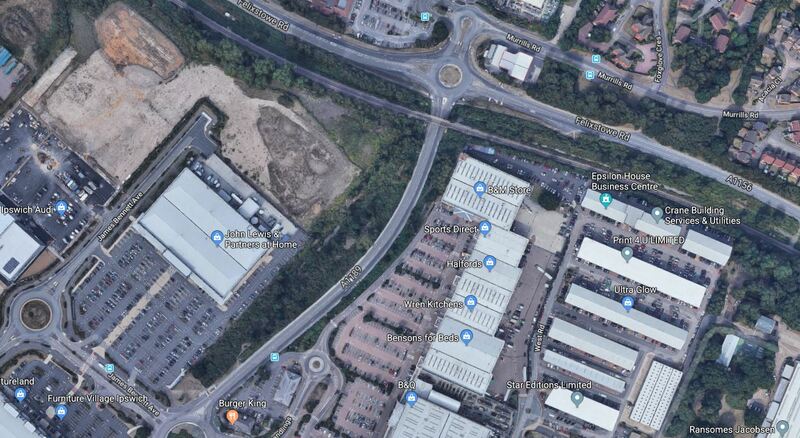 As the site is surrounded by development, this must be an ideal location for a developer to build an appropriate residential block, with a new step-free station in the basement, based on the current platforms. 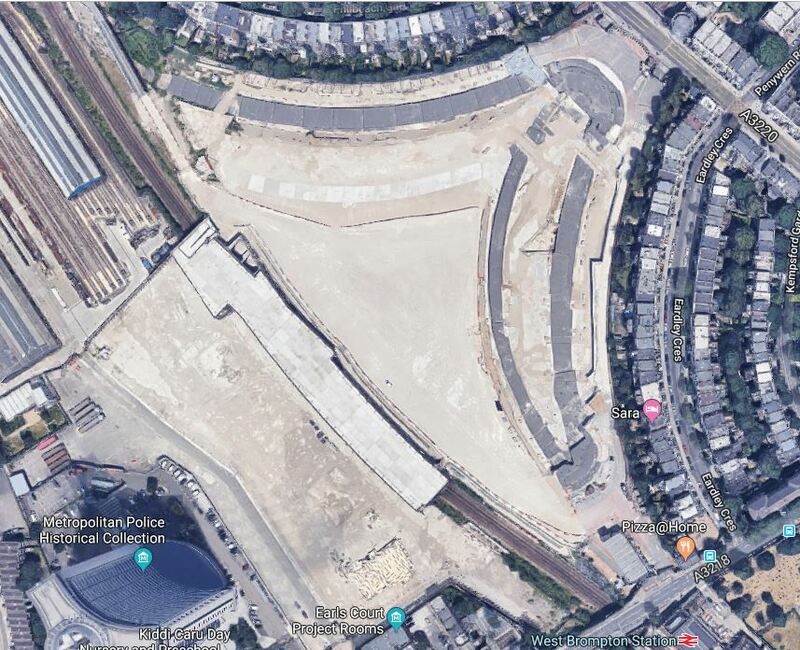 Where Has Lillie Bridge Depot Gone? Lillie Bridge Depot is a historic English traction maintenance depot on the London Underground Piccadilly and District lines, situated in between West Brompton and West Kensington stations in the London Borough of Hammersmith and Fulham. It is accessed from the District line tracks between Earl’s Court and West Kensington or between Earl’s Court and Kensington (Olympia). Note that the triangle in the middle of the junction used to be occupied by the Earl’s Court Exhibition Centre, which is now being redeveloped as upmarket housing. This Google Map shows the area now. Where is the Lillie Bridge Depot and the other railway lines? West Brompton station and the West London Line going North-South are just about visible. But much of the rest of the lines are or will be under the massive development. Wikipedia says this about the future of Lillie Bridge Depot. The Depot is scheduled to be decommissioned by 2019 by Transport for London, as part of an Earl’s Court regeneration scheme. 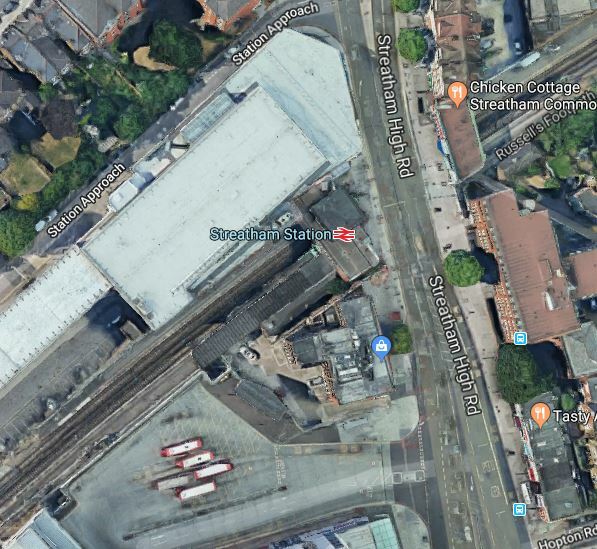 Engineering facilities will be moved to Acton Works, and it will be replaced by stabling for twelve S7 Stock trains at a lower level, with redevelopment taking place above it. The scheme has not been universally popular, attracting criticism from the Mayor of London, the current Hammersmith and Fulham Council, local housing associations and residents. 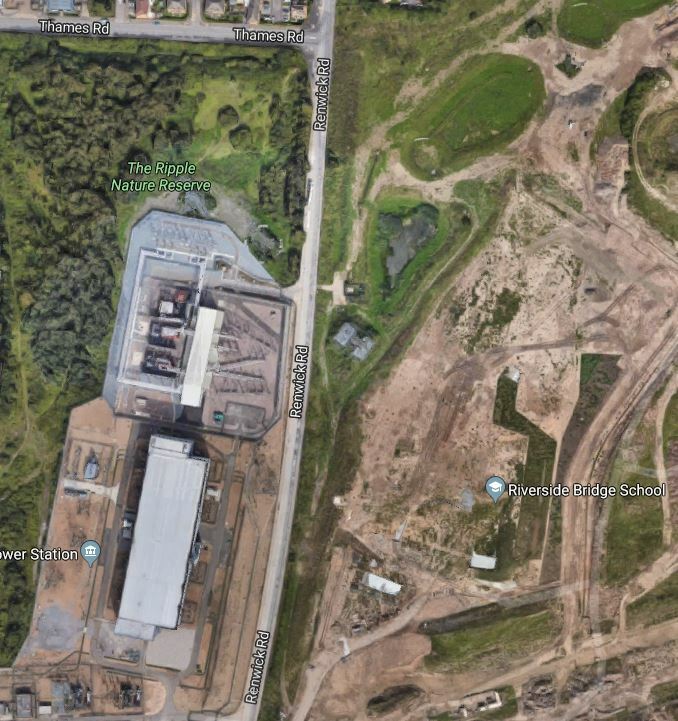 We will be seeing more and more developments like this over railway lines and especially depots, which offer a nice-shaped plot of several acres. As to who gets to buy or rent the flats and houses, that is up to local and national politicians. My one worry, is that some politicians insist on so many conditions as to the residents, that development of the site becomes impossible to fund. Could There Be A Tram-Train Between Ipswich And Felixstowe? I should declare an interest here of my teenage self, who spent some very boring summers in, what was then, the small coastal resort and dormitory town of Felixstowe. There was only so many places you could cycle and as my school friends were all in London, I used to avoid going to Felixstowe if possible. I can remember going from London to Felixstowe several times on the train. I would cycle from our London house in Cockfosters to Liverpool Street station and put my bike in the guard’s van for the trip to Ipswich. From Ipswich, I would ride the dozen or so miles along the A45 (now the A14) to Felixstowe. I suspect, that I could have used, the two-car diesel shuttle from Ipswich to Felixstowe, but I never did. Perhaps, it was because it was not the most frequent of services. The frequency was certainly a lot less than the current hourly service. So how feasible is this proposal? People travel between Ipswich and Felixstowe for several reasons. The Port of Felixstowe is an important employer. There is a large amount of leisure traffic between the two towns. Currently, much of the travelling between Ipswich and Felixstowe is by car on an increasingly crowded A14. Four tph seems an eminently sensible frequency. If a train, like a Class 170 train or one of the new Class 755 trains were used for the route, it would mean the following. Four tph in the single platform at Felixstowe. Four tph in a dedicated platform at Ipwich. Four trains would be needed for the service. An extra six tph using the route between Westerfield and Ipswich stations. The stations should be able to cope, but I doubt that the extra trains could be fitted into a busy route with the following services. If you add in the up to forty freight trains per day, that will use the route, something will have to give. It would appear that the plan is to replace the train, with a tram-train running on the streets of Ipswich. This could be a possible route for street running. It would then join the Ipswich-Felixstowe rail line in the area of Derby Road station or the retail parks on the East of Ipswich. 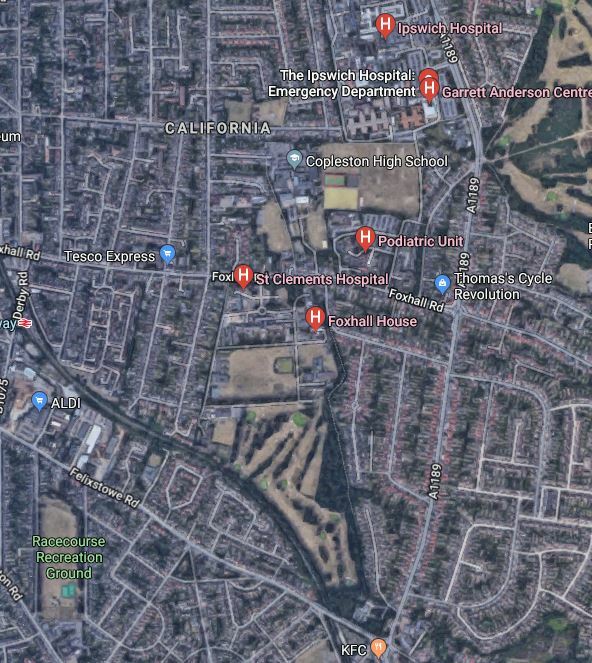 This Google Map shows Derby Road station and Ipswich Hospital. Ipswich Hospital is in the top-right of the map. Derby Road station is at the left side of the map in the middle. The Ipswich-Felkixstowe Line can be seen going South-Easterly across the map to the well-known St. Augustine’s roundabout. A tram-train would have the following benefits. It would link the town centres of Ipswich and Felixstowe. It would create a step-free link across Ipswich Town Centre to the all-important hospital. Extra stations can be added where they are needed in Ipswich without decreasing capacity on the rail line. It would surely encourage more people to use the trains from Ipswich station. I suspect too, that Class 399 tram-trains could be used as they are in Sheffield and will be on the South Wales Metro. This extract is from the Wikipedia entry for the Felixstowe Branch Line. The train now enters a section of double track through Derby Road station (6.10 miles (9.82 km) from Ipswich station by train, but only 1.5 miles on the map) where trains can pass. It is very significant, that going through the houses between the two stations is a route that is shorter by eight-and-a-half miles. Could it be that the time that would be saved by the shorter route is balanced by the slower progress of on-street running, which means that the current twenty-six minute journey time can be maintained? I’ll repeat what is said in the report. Introduction of a tram-train service on the Felixstowe branch, with doubling between Derby Road and Felixstowe. Doubling of about a mile of the Felixstowe Branch to the West of Trimley is ongoing and doubling further to the West looks to be fairly easy from my helicopter. But there is one major problem. 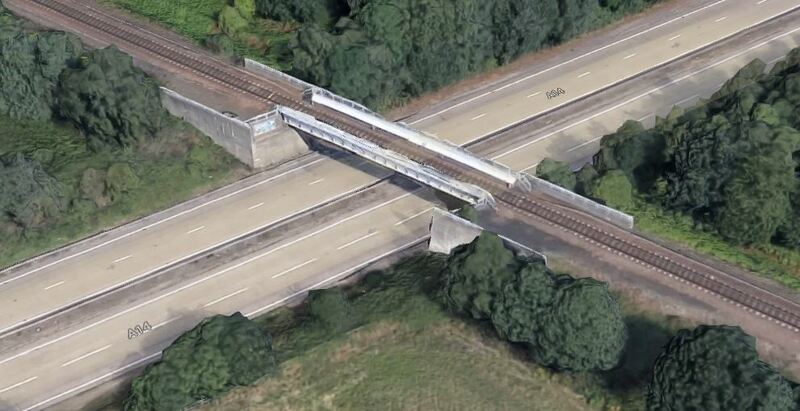 This Google Map shows, where the rail line goes over the Ipswich by-pass. Note that provision has been made for a second track. So hopefully, it won’t be much more expensive to add a second bridge and track, than to add points either side of the existing bridge. There would be some extra bridge works between the A14 and Derby Road station, but doubling all the way from Derby Road station to Felixstowe doesn’t look to be the world’s most difficult railway engineering. There used to be an extra stop at Orwell station. It was little-used and closed in 1959. Looking at the station, it is now a large private residence and I suspect there is no point in reopening, as there isn’t much housing in the area. But there could be a case for a station at Futura Park, which is shown in this Google Map. Lots of the usual out-of-town stops are there including a Waitrose and a John Lewis. The railway runs to the South of the A1156 Felixstowe Road and there is surely the possibility of a station in this area. 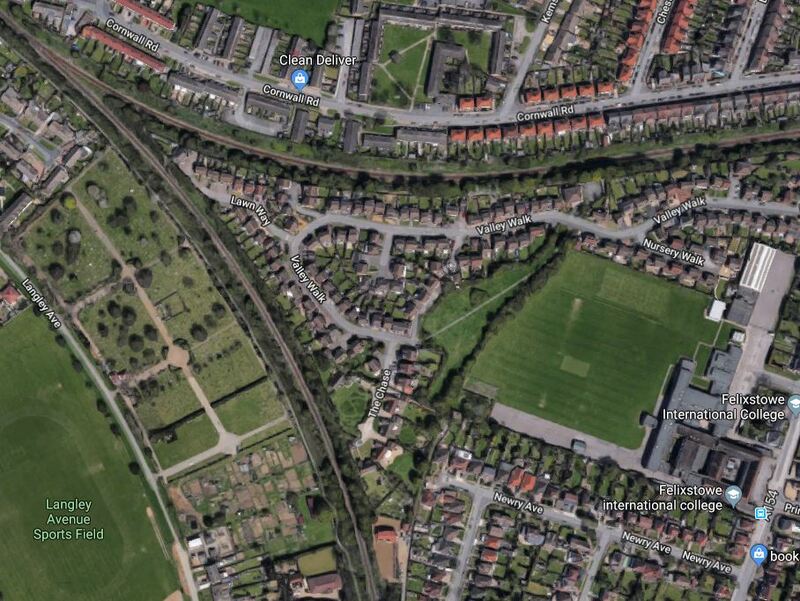 There is also the possibility, that the tram-train could join and leave the Felixstowe Branch Line at this point, after and before street running to Ipswich station. 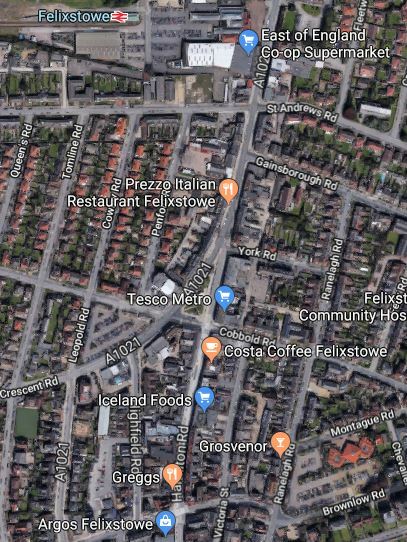 Would The Tram-Trains Go Walkabout In Felixstowe? Felixstowe used to have two other stations; Felixstowe Pier and Felixstowe Beach. Both are now closed. I can remember Felxstowe Beach station, as occasionally in the 1950s, we stayed nearby at the Cavendish Hotel. Felixstowe Pier station was towards Landguard Fort and even served steam vessels going to Germany. Both stations were served by trains reversing at the main station, which is impossible now as the chord has been removed. This Google Map shows the current rail lines in Felixstowe. The line to/from Ipswich splits into two in the top-left corner of the map. The branch going East goes to Felixstowe station. The branch going South used to serve the two other Felixstowe stations and now serves the Port of Felixstowe. The missing chord is visible to the West of the playing fields of Felixstowe International College. I would rate reinstatement of the chord as highly unlikely. The only reason, the chord would be reinstated, would be if the Port of Felixstowe wanted to have a four tph passenger service. The Port wouldn’t want to have all those extra movements on what is a busy and exclusive freight line. On the other hand, I wouldn’t rule out extension into Felixstowe Town Centre. This Google Map shows the Town Centre. The one-platform station is at the top of the map, behind a small Co-op supermarket and the Listed station buildings, which are now a small shopping centre. The High Street, which is part -pedestrianised leads down from the station to the top of the cliffs, where Bent Hill leads down to the sea-front. Halfway along is a triangular garden, where a local road splits off toward the Southern part of the sea-front and the Port. The pattern of retail shopping is changing and Marks and Spencer in the town will be closing soon. My plan would be as follows. Rebuild the Co-op supermarket to allow a single-track tram line to squeeze through to the High Street. Trams would then continue down the High Street to the triangular garden. A second platform face could be added at Felixstowe station to allow trams to pass and give flexibility. Done properly, it could improve Felixstowe’s appeal as a leisure destination. I also think, that as the extension is only short, the current Ipswich to Felixstowe timing could be maintained. Listing all the services proposed at Ipswich station gives the following. 1 tph – Colchester and Peterborough – Greater Anglia – Replaces current Ipswich and Peterborough service. 4 tph – ipswich and Felixstowe – Greater Anglia – Proposed tram-train service. If the Felixstowe tram-train service were to terminate outside the station, as trams tend to do, there would only be a need for one bay platform at Ipswich, that would handle hourly Lowestoft services, that didn’t go to/from London. Ipswich station would become more of a through station with the following through trains. 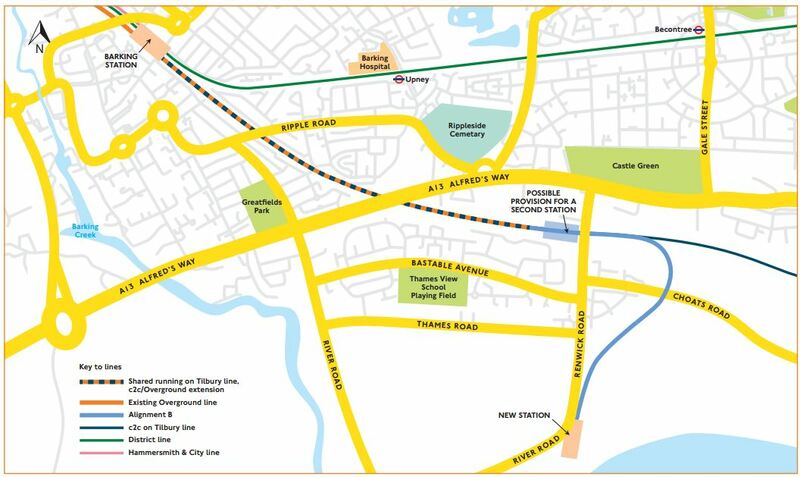 Two tph between Manningtree and the proposed A14 Parkway station via Bury St. Edmunds. This would all save the expense of rebuilding large parts of Ipswich station. Although, there would be a certain amount of remodelling of the station forecourt to accommodate the tram-trains. It is a classic application of tram-train technology and I’m sure that a good route can be devised between the two towns. This morning, I walked down Renwick Road to Barking Riverside. I started walking from Thames Road, turned South into Renwick Road and then walked to the bottom of the map. On the West side of the road is a Nature Reserve and the massive Barking sub station, which is a major distribution point for East London’s electricity. On the East side of the road is Barking Riverside Campus, which is a large school catering for a wide age range. It appears that the Barking Riverside Extension of the Gospel Oak to Barking Line, will run between the campus and Renwick Road, according to this map. I took these pictures as I walked. There are certainly a lot of large electricity pylons over the area. I will be taking this walk, several times in the next few years to see how it changes, as the station is built. Can you imagine all London Boroughs agreeing to it? Negotiation would be like Brexit squared. Armies of Nimbys and the Council For The Fossilisation Of England would have a field day. Linear cities were proposed for Londonn to Southampton and Ipswich to Felixstowe in the 1960s. On the other hand, as a child, I had dreams of a circular railway through where I lived in Cockfosters, as getting to Central London was fast, but getting to my friends and relatives in Edgware and Enfield was slow. Note that the plans involve a circular monorail. Monorails are not very common, except at theme parks. That is an idea from well into the last century. Today, we would use tram-trains, as they are so much more functional and easily extended. Lewisham station is becoming increasingly surrounded by tower blocks. With the Bakerloo Line Extension planned to reach the new station around 2030, surely it is time to rebuild the station with more blocks over the tracks. I generally listen to this program on BBC Radio 5, before getting out of bed. Today they asked for smaller ideas that would benefit, so I sent this message. Various factors are also working in favour of new stations. Success breeds success and there have been several examples of new station openings in the last decade, that have been very successful. Other developments and existing towns want to have a similar success. Station design is getting better and more innovative, with features and modules cropping up all over the country. Single-platform stations, like Cranbrook in Devon and Galashiels in the Borders, which both opened in recent years, have shown that single-platform stations are a more affordable alternative to an all-singing-and-dancing station with two platforms and an expensive step-free bridge. The new generation of trains like Aventras, Desiro Cities and Flirts are designed to slow from line speed, execute a station stop and get back to line speed, in a shorter time, than previous trains. This has been achieved by. Whereas a decade or two ago, an extra station stop would cause havoc with the timetable, it is now easier to add a stop at a new or existing station. Developers seem to be moving away from a philosophy, that everybody using their office, commercial or housing development will come by car. One developer told me, that you actually get a premium price if a housing development has its own train station. I think that is very likely in the next few years, the number of new stations built will increase.